This elegant vanity table with matching stool combines style, storage and space! A swiveling oval mirror helps you look your best while the seven drawers and hanging necklace storage gives you the storage you need. 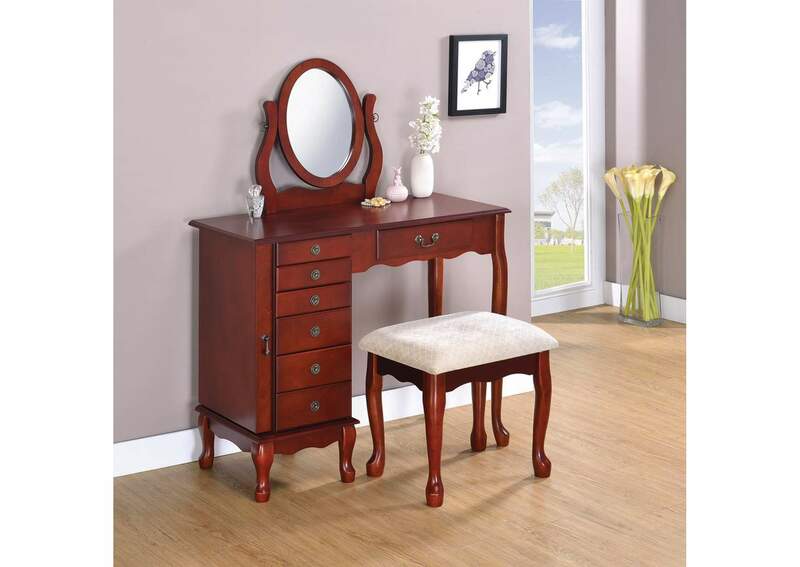 With its classic styling and warm cherry finish, this vanity is the perfect thing to make a statement in your bedroom or dressing room.